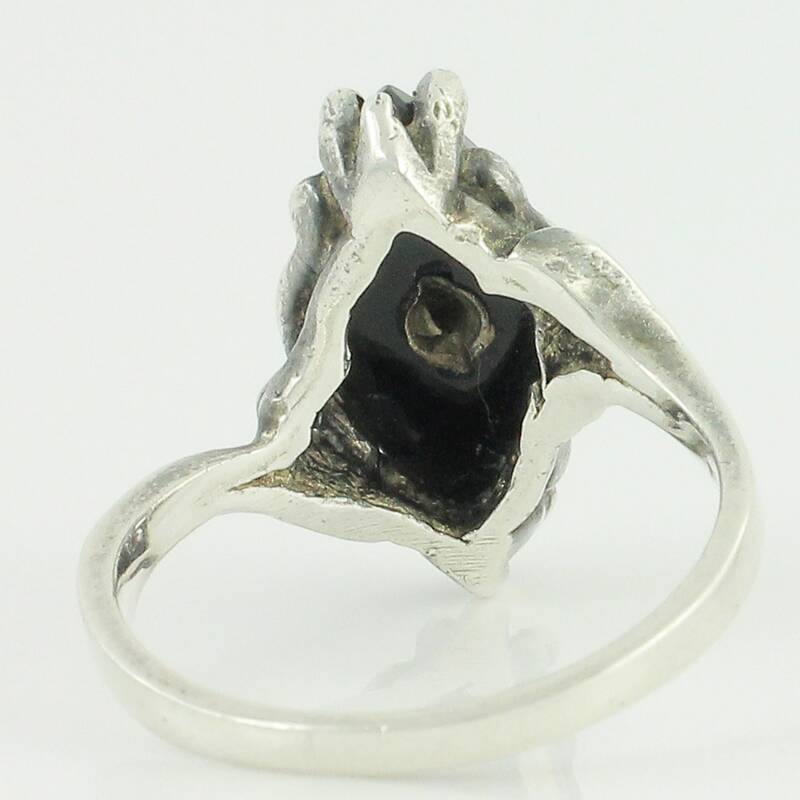 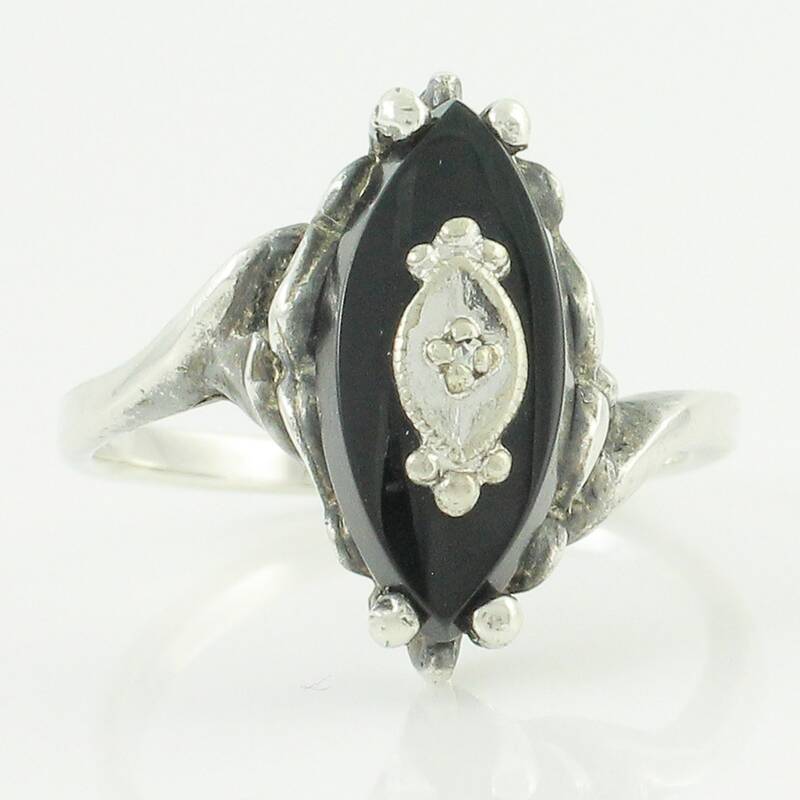 Vintage Black Onyx Diamond Sterling Silver Ring. 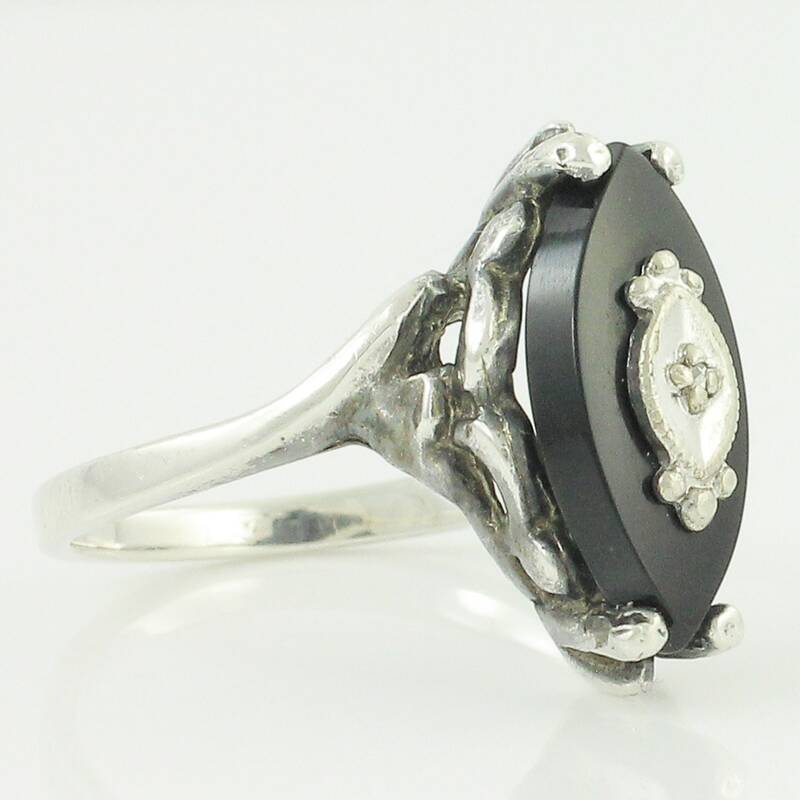 This mid-century ring features a marquise cut of black onyx with a single cut diamond prong set in a fancy plaque. 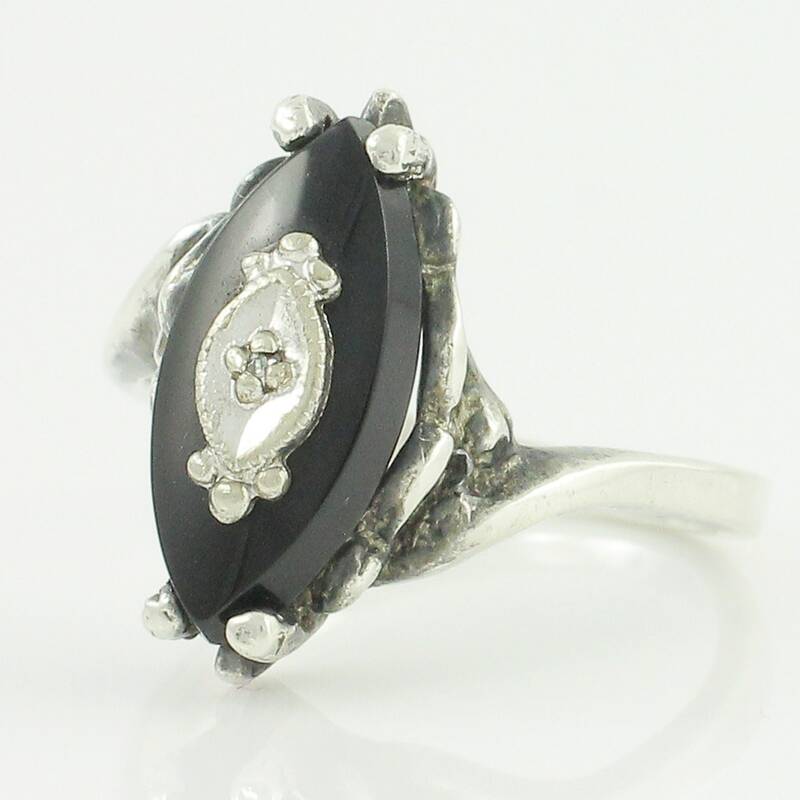 Both are set in a scalloped head in a bypass shank. 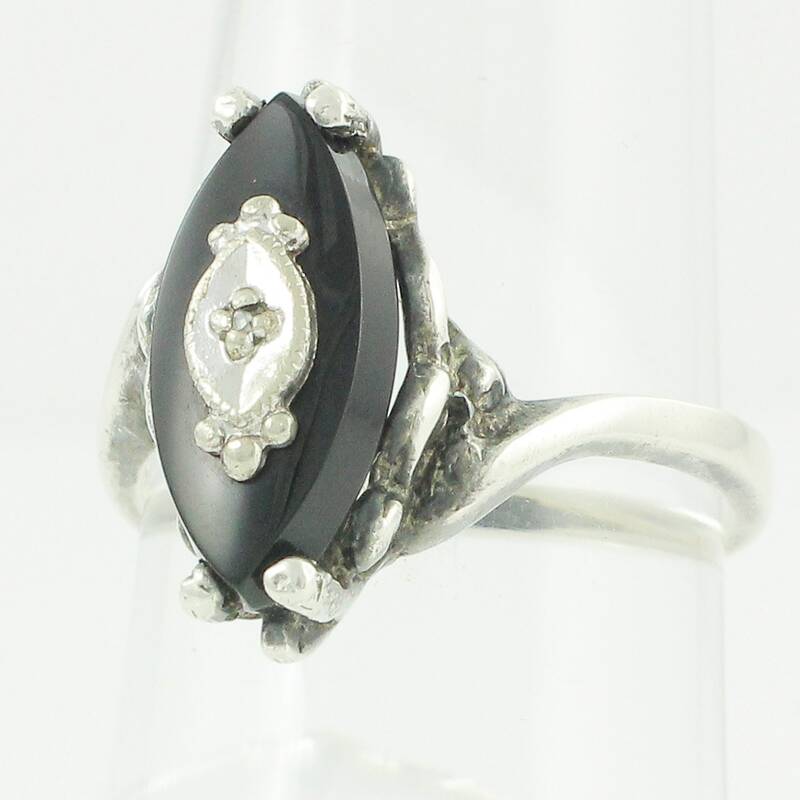 CONDITION: Very Good Vintage Condition, with minor surface wear appropriate to its age. 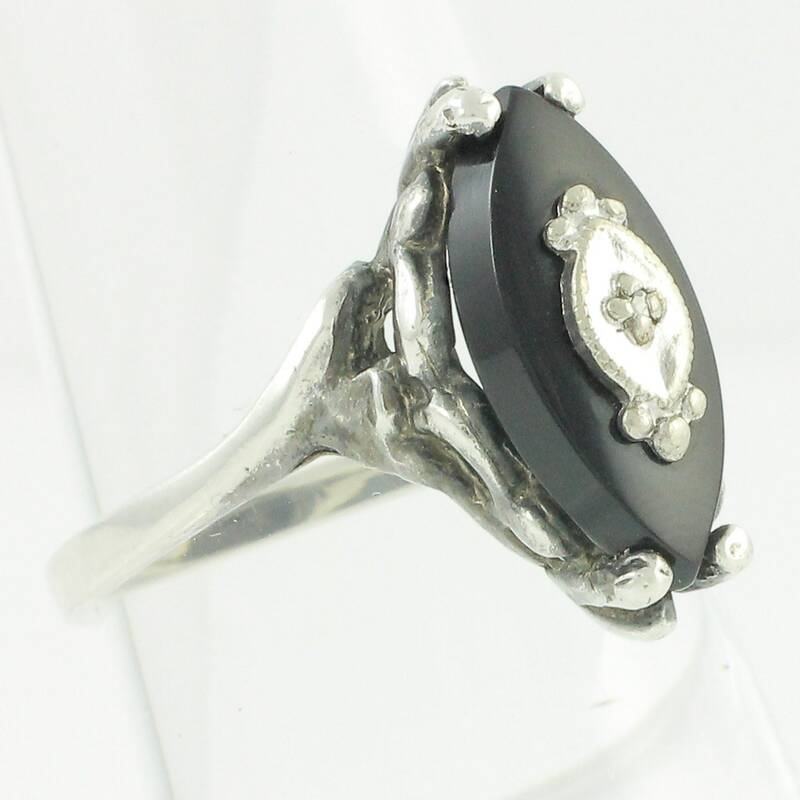 SIZE/MEASUREMENTS: Ring measures 17.2 mm x 7.25 mm at head and tapers to 1.75 mm at reverse of shank.